Subletting your apartment means finding someone else to live in your unit if you are unable to live there for the entire term of your lease. When you need to move before your lease is over, subletting your unit is usually less challenging, and has fewer implications than breaking your lease, entirely. Subleasing situations are also helpful when you will be away for several months during your lease, but plan on returning before the term ends. No one wants to sublet their apartment to a seemingly great applicant only to find that the sublessee consistently falls behind on rent and leaves a permanent mess behind after moving out. While it is impossible to guarantee finding the perfect subtenant, there are plenty of steps a sublessor can take to ensure a better fit. Below, learn the most important steps to take when looking for a tenant, and discover which pitfalls can be avoided by asking the right questions. Letting someone move into your apartment can have a lot of legal implications, so you want to make sure you can trust the person living in your unit. The best way to find a trustworthy tenant is to ask friends, family members and coworkers if they know of anyone looking for a short-term living arrangement. There is still the potential for friends and acquaintances to let you down, but the chance is greater when renting to a stranger. If you have exhausted your personal network, one of your only ways to find a good subtenant is to post ads. Choosing the correct advertising method can make all the difference when it comes to finding the perfect subtenant. Consider the demographic you are most likely to attract with your apartment when choosing where to advertise. If you live near a college town, for example, you are more likely to find a student looking for temporary housing over the summer if you post ads at the university. In many cases, the people who are most likely to enter a sublet agreement are young, and do not have families yet. With this in mind, you will be better off placing ads online and through social media than you would be ordering a print ad in the local newspaper. No matter where you decide to advertise, be aware of the selling points that may attract renters. For example, your proximity to downtown may make your place more appealing to a young professional who has just moved to the city, and has not found a permanent place to live yet. Being close to campus, on the other hand, is a key fact to include when you are looking for a student sublessee. When advertising, always keep in mind that you cannot discriminate against applicants who may want to sublet your apartment. While you can have an ideal subletter in mind, such as a college student or young professional, fair housing laws prohibit discrimination based on any demographical information. At any rate, you can still use advertisements as a way to reach people who are the most likely to sublet an apartment. Having subtenants fill out an application is a great way to determine if a renter will be a good fit. When creating an application, be sure to include topics that are covered in your lease to see if potential sublessees would be able to uphold these policies. For example, if your lease prohibits pets, make sure you ask applicants if they have any pets. You will be held accountable if a subtenant causes pet damage to your apartment when you are gone, because the unit is not considered pet-friendly housing in the first place. It is also important to ask about personal habits that may affect your belongings. For example, if you sublet your apartment to someone who smokes, and you do not want him or her to smoke in the unit, make sure the person knows it is unacceptable before entering into an agreement. Even if you have the perfect sublessee, problems can still occur. In order to cover any unforeseen damage or other issues you encounter, it is always a good idea to ask for a security deposit to cover your losses if your landlord retains any of your own security deposit when you move out. If a subletter leaves a permanent stain on the carpeting, for example, you will ultimately be responsible for the damage. Checking into a subletter’s rental history and credit history is important to do as well. Keep in mind that when you sublet your apartment, you are essentially acting as the landlord. As such, you will only want to enter into an agreement with someone who is financially responsible, and does not have a poor history with other landlords. Asking about the applicant’s current employment will also give you more peace of mind that he or she has consistent income to cover rent. In addition to checking an applicant’s financial history, you may also want to ask why each applicant is seeking short-term housing. It is common for renters to look for subletting options when they have just moved to a new city or when they are traveling in the area. If you found a sublessee through an online ad, or even came across someone by asking your network, you should always meet up in person to evaluate the applicant. 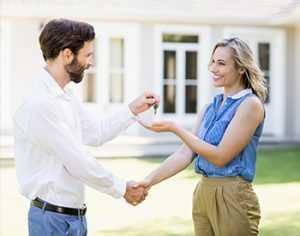 Keep in mind that you will not be living with this person, so it is better to treat the meeting as one between a landlord and a potential tenant. As an acting landlord, you should be less concerned with a sublessee’s schedule or personal habits, focusing instead on his or her level of responsibility. You can gauge a lot about a person’s trustworthiness during a face-to-face meeting. Applicants who keep your appointment and show up on time are far likelier to pay rent on time than those who are late or blow off the meeting, altogether. An applicant’s outward appearance can also indicate how likely the subtenant would be to keep the apartment clean or not. Someone clean and well-dressed is likelier to keep the apartment tidy in your absence than someone who is not, but appearances can always be deceiving.